The homeowners’ associations lawn service and lawn maintenance division of Stone Ferris Lawn Service has developed an outstanding reputation while serving some of the area’s top HOA’s. Our mission is basic, build long-term relationships with every one of our clients by delivering great service and unmatched value through cost-effective management services, including commercial lawn care service, landscape installation, landscape design and grounds maintenance. We provide our customers a commitment to professionalism, honesty and quality workmanship. Each of our trained lawn service crews is respectful of your property and use the latest installation methods. We have a proven track record of success in creating outstanding landscape environments from the ground up. 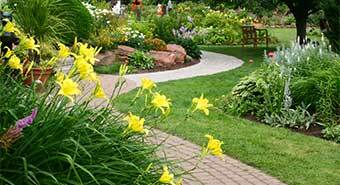 All of our work, from hardscapes to shrubs and trees, comes with a firm guarantee. Our phones are answered regularly during business hours, no playing phone tag! Structured pricing, so that the more services you choose, the less you pay for each service! CONTACT OUR HOMEOWNERS ASSOCIATIONS LAWN SERVICE TODAY! Our commitment to customer satisfaction and our high standards of quality make us the top choice for your homeowners, associations lawn service, landscaping, and property maintenance needs in Southwest Florida. We are more than happy to provide you with free on-site estimates. You will know exactly how much your next lawn service is going to cost before we begin working. To get a free homeowners’ lawn service quote, please complete our online request form or for the fastest response call us today. in Ft Myers, Cape Coral, N Ft Myers, Sanibel, Captiva, Ft Myers Beach, Estero, Bonita Springs, & Naples.